Swashbuckling US drama Black Sails has been renewed for a fourth season. 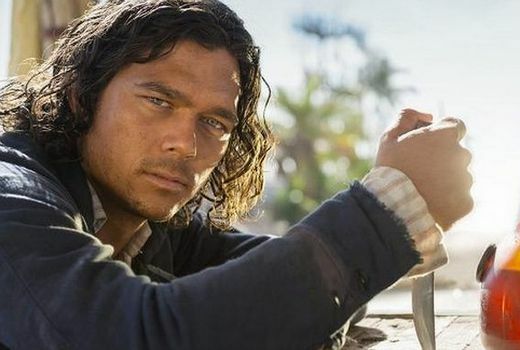 The Michael Bay drama, which features Aussie Luke Arnold, will resume production in South Africa later this year ahead of its 10-episode third season debut in 2016. It means the pirate series will remain on cable network Starz through to at least 2017. It airs in Australia on Showcase. Meanwhile the series version of Scream, based on the film of the same name, has been renewed by MTV. So far five of its 10 episodes have aired in the US, launched to 1.03 million viewers, but growing to 6 million including 3+ Days, streaming and catch-up. It will not be airing in Australia on MTV, but no other broadcaster has announced any plans. Great news to see Black Sails renewed for another season. It is a terrific series which showcases another great Australian actor (Luke Arnold). @ David Knox – Black Sails airs on Showcase not FX. Woohoo…look forward to more Black Sails.